Ostracods are living beings, which have been able to sustain since Cambrian. They have been spreading all over the water bodies of world. 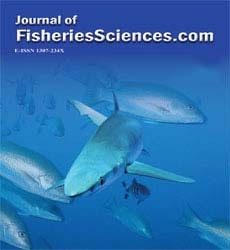 Os-tracods are not only used as ecological indicators (Mezquita et.al., 2001) but also utilized in pa-laeoenvironmental studies (Mischke, 2001). ‘Os-tracoda’ has been the subject of many faunal and ecological studies. Generally faunal studies were performed in the lakes (e.g. Altınsaçlı, 1993; Külköylüoğlu, 1998; Dügel et al., 2008). In Tur-key, ostracod fauna of flowing waters have re-ceived much less attention than lakes. There are only a few published addressing about fresh-water ostracods in flowing waters (Gülen and Altınsaçlı, 1999; Külköylüoğlu and Yılmaz, 2006; Yaltalıer, 2007; Özuluğ and Yaltalıer, 2008). To this end, Istranca streams named Kuzuludere, Büyükdere (Çilinkozdere), Sultan-bahçedere, Papuçdere, Elmalı, Kışla and Efendi streams are chosen as study area. The study is a preliminary study to determine the ostracod as-semblages of the seven streams. Kuzuludere, Büyükdere (Çilinkozdere), Sul-tanbahçedere, Papuçdere, Elmalı, Kışla and Efendi streams are known as Istranca streams and located in the north-east of Thrace Region in Turkey (Figure 1). The Streams originate from the Istranca Mountains and flow into the Black Sea. In order to obtain drinking water for in-creasing human population dams were con-structed on five of them (Kuzuludere, Büyükdere, Sultanbahçedere, Papuçdere, Elmalı) by ISKI (Istanbul Water Authority) within the scope of project between 1990-1995. After the dams, res-ervoirs with different morphometrical features were formed in the area. Figure 1: Istranca streams in the Thrace region and the distribution of the sampling stations at the study area. The water resources of stream are spring wa-ter and also, the water of streams and reservoirs are used as drinking water. Basin of streams is completely surrounded with oak and beech for-ests. Until recent years it was very difficult to get access to those streams in the forest region. Thanks to the roads built during the process of supply piping, the streams become accessible. The Ostracoda assemblages of this region is at-tractive because there is no environmental pollu-tion in the concerning area. All of the material from the streams were collected with a special hand net made of Müller fabric. Material inside mud was fixed with 4% formaldehyde and washed with pressurized tap water using sieves, 0.25; 0.16; 0.08 mm of mesh sizes repeatedly in the laboratory. Ostracod specimens were preserved in 70 % ethyl alcohol; soft body parts slides were prepared with dissec-tion needles inside polyvinylalcohol lactophenol and orange-G. Identification of species is based on morphological aspects of the carapace and the soft body parts. During the classification Meisch 2000 was used. Dissolved oxygen, conductivity, pH and temperature values of the stations were measured at the area with portable WTW multi-line P4. Physical and chemical parameters of the streams with codes and geographical coordinates can be seen at the Table 1. Table 1: Name of streams with geographical coordinates considered in this study and some physical and chemical parameters of the stations. C: Conductivity (μS/cm ), DO: Dissolved oxygen mg/L, T (w): Water Temperature ºC, T (a): Air Temperature ºC. The study was performed to determine the Ostracoda fauna of the Istranca streams and ten species were found. Tables 2 summarize the information on distribution and total number of the species in the study area that results of this study. Also the list including identified ostracod species with codes of sampling site and specimen number are given as follow. Species status of genus Candona was not deter-mined due to low specimen number. Material: St21, 5 ♀; St29, 1 ♀; St35, 2 ♀. According to Meisch (2000) the species is Synonym with Candona paralella. The rare spe-cies generally prefers small water bodies with a muddy bottom and lives in permanent and temporary stagnant or slow flowing waters (Meisch 2000). In Turkey, it was recorded firstly from lake Birgi (İzmir) as bisexual population of Candona paralella by Gülen (1985b). In our study, P. albicans was found in three streams (Sultanba-hçe, Papuçdere, Elmalı) and it is first report for Thrace region (Figure 2). Material: St7, 3 ♀, 1 ♂; St21, 1 ♀, 4 ♂. Generally, the species recorded from littoral zone of lakes and small permanent water bodies and several records from underground waters (Meisch 2000). In Turkey, C. kingsleii, was re-corded firstly by Gülen (1985a) from hot water spring (Bağlama köyü – Antakya). The species is widely distributed both Thrace and Anatolia (e.g. Altınsaçlı, 1993; Gülen, 1985b; Özuluğ, 2000; Özuluğ, 2002). Material: St33, 1 ♀; St34, 2 ♀, 2 ♂. P. kraepelini has wide distribution like C. kingsleii, (e.g. Gülen, 1985a; Gülen, 1985b; Öz-uluğ, 2000; Dügel et al., 2008,). The species is a common and wide spread Holarctic species and also there is many record from Thrace and Anatolia (e.g. Gülen, 1977; Gülen and Altınsaçlı, 1999; Özuluğ and Kılıç, 2002; Dügel et al., 2008). P. fontinalis is very similar species with P. olivaceus. P fontinalis would be distinguished with very broader calcareous inner lamella at booths ends of valves and posterior uropodal spine with filamentous tip (Meisch 2000). Although H. salina is common and widely distributed species, it is found only one station with the highest specimen number. Material: St7, 8 ♀; St17, 10 ♀; St21, 1 ♀; St28, 3 ♀; St33, 3 ♀; St34, 6 ♀; St37, 5 ♀; St38, 5 ♀. C. vidua which is the most frequently species and it was found almost all streams (Table-2). Ac-cording to Dügel et al. (2008) C. vidua has wide range of tolerances to different environmental conditions. Material: St7, 4 ♀; St37, 4 ♀. It is common and widely distributed species (Meisch, 2000). Material: St21, 2 ♀; St30, 1 ♀; St33, 2 ♀. It is also common and widely distributed species (e.g. Meisch, 2000; Kılıç, 2001; Özuluğ, 2000). In addition the taxonomical features, distribu-tion of the species at the area are very interesting. 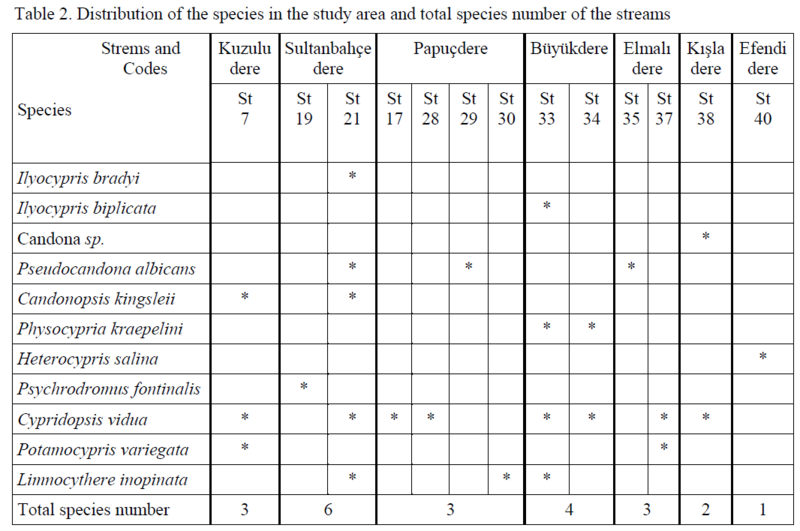 The highest species number (6) was found in Sultanbahçe stream (Table 2). Other four streams, Kuzuludere, Papuçdere, Büyükdere, Elmalı, have equal species number (3). With regard to size and flow rate Papuçdere is the largest stream among the considered streams in this study. Even though highest sampling number of Papuçdere stream, only three species was found. This situation suggests that high flow rate could have negative effect on the species distribution. 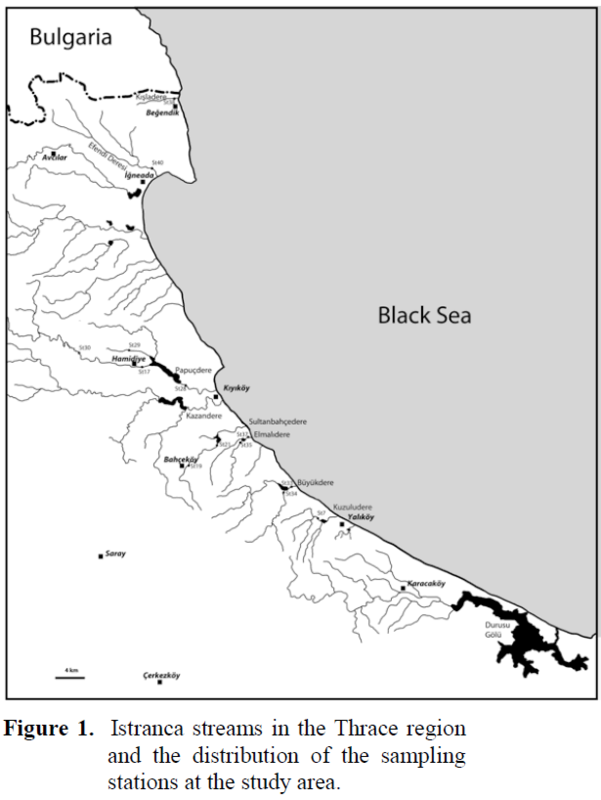 This is a taxonomical study to contribute to Ostracoda fauna of Turkey thus ten species were reported from Istranca streams and one of them, Pseudocandona albicans, is the first time, have been recorded in the Thrace region of Turkey. Finally, this study is a preliminary study, more detailed and seasonal study including spring point would be suggested to perform in the fu-ture. This work was supported by the Research Fund of The University of Istanbul. Project number 1550/16012001. Also I would like to tank Dr. Hülya Sarı De-Zeu for her help during the lab study and Dr. E. Pietrzeiniuk for giving me the opportunity to compare with their collection in the Naturkunde Museum -Berlin. Altınsaçlı, S., (1993). Sapanca ve İznik göllerinin Ostrakod (Crustacea) Faunası ve Zoo-coğrafik Dağılımı, Doktora tezi, Danışman Gülen, D., İstanbul Üniversitesi Fen Bilim-leri Enstitüsü. Dügel, M., Külkölüoğlu, O., Kılıç, M., (2008). Species assemblages and habitat preference of Ostracoda (Crustacea) in Lake Abant (Bolu, Turkey), Belgion Journal of Zoology, 138(1): 50-59. Gülen, D., (1977). Contribution to the Freshwater Ostracoda Fauna of Turkey, İstanbul Üni-versitesi Fen Fakültesi Mecmuası, Seri B., 42: 101-106. Gülen, D., (1985a). The species ant Distribution of the group of Podocopa’nın (Ostracoda, Crustacea) Freshwaters of western Anatolia, İstanbul Üniversitesi Fen Fakültesi Mecmuası, Seri B., 50: 65-80. Gülen, D., (1985). Bisexual Ostracoda (Crusta-cea) populations in Anatolia, İstanbul Üni-versitesi Fen Fakültesi Mecmuası, Seri B., 50: 81-86. Gülen., D., Altınsaçlı., S., (1999). The Ostracoda (Crustacea) fauna of Sakarya river basin, Yerbilimleri (Geosound), Science and Tech-nology Bulletin on Earth Science, 35: 69-84. Kılıç, M., (2001). Recent ostracoda (Crustacea) fauna of the Black Sea coasts of Turkey, Turkish Journal of Zoology, 25: 375-388. Külköylüoğlu, O., (1998). Freshwater Ostracoda (Crustacea) and their quarterly occurence in Şamlar Lake (İstanbul-Turkey), Lim-nologica, 28: 229-235. Meisch, C., (2000). Freshwater Ostracoda of western and central Europe, in J. Schwoer-bel and P. Zwick, Suesswasserfauna von Mitteleuropa 8/3. Spektrum Akademischer Verlag, Heidelberg, Berlin. Mezquita, F., Griffiths, H., Dominguez, M.I., Lozano-Quilis, M.A., (2001). Ostracoda (Crustacea) as ecological indicators: a case study from Iberian Mediterranean brooks, Archive für Hydrobiology, 150(4): 545-560. Mischke, S., (2001). Mid and Late Holocene pa-laeoenvironment of the lakes Eastern Juy-anze and Sogo Nur in NW China, based on ostracod species assemblages and shell chemistry, Berliner Geowissenschaftliche Abhandlungen, E 35: 1-131 p.
Özuluğ, O., (2000). Trakya Bölgesi Ostracod (Crustacea) Faunası. Doktora tezi. Danış-man: Gülen, D. İ.Ü. Fen Bilimleri Enstitüsü İstanbul. 70p. Özuluğ, O., (2002). İstanbul Bendleri Ostaro-codları [Ostracoda fauna of Istanbul Dam’s], İstanbul Üniversitesi Su Ürünleri Dergisi, 13: 15-22. Özuluğ O. Kılıç. M., (2002). Contributions to ostracoda (Crustacea) Fauna of Anatolia (1), Istanbul University Journal of Fisheries & Aquatic Sciences, 14: 71-79. Özuluğ, O., Yaltalıer, S., (2008). A preliminary study on the Rezve stream and a new record for Ostracoda (Crustacea) fauna of Turkey, Istanbul University Faculty of Science Jour-nal of Biology, 67(1): 93-96. Yaltalıer, S., (2007). Karasu Deresi (İstanbul) Ostracod (Crustacea) Faunası ve Bazı Fiziko-kimyasal özellikleri, Yüksek lisans tezi, Danışman Özuluğ, O., İstanbul Üniver-sitesi Fen Bilimleri Enstitüsü, İstanbul.